Electric vehicles are growing in popularity. As technology improves and gas prices continue to stay painfully high, electric vehicles become the natural solution for drivers looking to save money and do their part in protecting the environment. Unlike traditional cars, however, EVs have unique needs; you can't drive an electric car the same as you would a gasoline-powered vehicle and expect the same results. One concern that many EV drivers have is its sustainability over a long drive. How long will the battery last? What if you get stranded? Losing power in your electric car isn't as simple as pulling in to the nearest gas station. If you're planning to do some heavy traveling this holiday season, or even thinking ahead to your next business trip or vacation, there are a few ways you can assure that your car will get you there with minimal worries. Gas-powered cars receive their power from an internal combustion engine. When the gasoline burns, it powers the engine, and the engine then allows the alternator to charge the battery. The battery helps get the car started, but otherwise plays a minor role in the way the car runs. Once you're on the road, gasoline powers the engine, and you can drive indefinitely as long as you pull over to fill up the tank once in a while. Electric cars function differently. Like other electronic devices such as cell phones and laptops, electronic cars are powered by electricity stored in the battery. Once the battery runs down, you need to refuel at a charging station or you won't be going anywhere. · How long will the battery last? Refer to your owner's manual, the manufacturer's website, or personal experience to determine how long you can run your car before the battery runs down. By knowing how long you have between charges, you can plan your route. Be sure to hedge on the side of safety and charge more frequently than necessary to avoid being stranded. · Where can you charge the car? 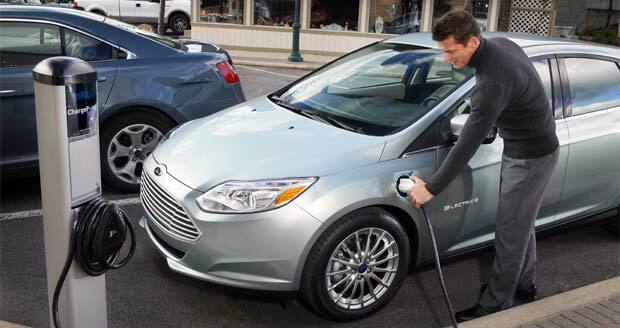 As electric car technology becomes more prevalent, charging stations will be easier to find. Until then, only some gas stations, hotels, or rest areas will provide the service. Luckily, programs exist across the country to help you find places to charge your car; you can use ChargePointAmerica.com to find charging stations, or you can search Google Maps for "electric car charging stations" to find stations along your route. · Who can fix the car if it breaks down? Electric cars are new technology and some mechanics aren't equipped to handle it. Before heading out on a long drive, do some research to figure out where a qualified mechanic shop may be along your route. You can even use a smartphone app like RepairPal to locate a shop. Once you've done a little planning for your road trip, traveling in your electric car should be a smooth, fun experience for your family. The best part? You can put all of the money you'd normally spend on gas into your pocket as extra spending money!